Order Simply Lager 40 pints from the Stirling Homebrew Shop UK. 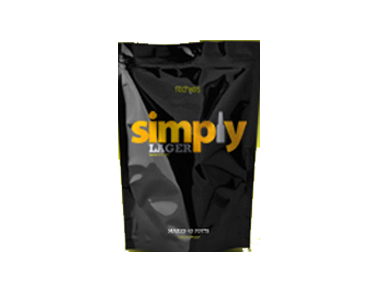 Buy Simply Lager Beer Kit - 40 pints and other Beer Kits & Cider Kits safely online in the UK. This beer kit makes a full golden crisp lager, light & refreshing with honey notes and a lingering bittersweet finish. Where to buy Simply Lager 40 pints safely online? Shop at the Stirling Homebrew Shop if you are wondering where you can buy Simply Lager Beer Kit - 40 pints safely online in the United Kingdom.